HDR Tutorial – How to Make Beautiful HDR Photos with Ease! HDR is an acronym for High Dynamic Range. If you use some special HDR software, you can see all the light in the final photo that you can see when you are standing on the scene. Perhaps you’ve been in a beautiful place and taken a photo and it comes out flat and disappointing. With HDR processing there is no longer a need for that; now the final image can be as truly evocative as it was when you were there. The human eye can see so much more than a single shot that your camera takes by itself. I’ll show you how you can get these files into this software and make the scene as beautiful as it was when you were actually there. I’ll show you how. Don’t worry, it’s easy and super fun! Here are a few interesting HDR photographs that people seem to enjoy. This shows the sort of style I have arrived at over the years by using the techniques described in this tutorial. You can see many more in my portfolio;. Step 1: Get your box of 128 Crayons ready! 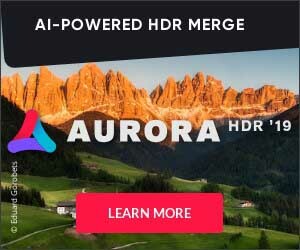 The first step is to get the Aurora HDR Software. It works on Windows and Mac. The software has now been through at least 10 iterations and it’s absolutely amazing. Some optional things you may want to pick up are Trey’s Presets for Aurora HDR 2018 – Volume 2 and the HDR Video Tutorial with sample files. Notice I said photo(s) with an “s” because you can use a single photo or multiple photos. Personally, I use a single photo about 75% of the time, but I’ll explain more. RAW photos are the format most cameras now use and write them to the memory card. Note that if you have a new camera, sometimes JPG is turned on by default. You might have to go into the settings and change it over to RAW. Single RAW files make a great source for the new Aurora HDR, which is especially tuned for these. I used to do multiple photos in bracketing (see next section if you don’t know what that is), but I find a single RAW is sufficient for almost all situations. Note you CAN use a single JPG in Aurora HDR as well, but a RAW is recommended because it has more light stored inside. You can also import a series of photos called bracketed photos. Many cameras have a setting that will let it take a burst of photos at different brightness levels. So, you would end up with three photos: a dark, medium, and bright photo. This setting in your camera is typically called Auto-bracketing. I put my camera in A (Aperture) mode, and then the camera will automatically adjust the shutter speeds. Most of the time, I shoot with the basic exposure settings of -2, 0, and +2. I still use bracketed photos when I’m shooting and there is a big difference in the lighting, from bright to dark. For example, if I’m shooting into a very bright sunrise and something quite dark is also in the image. What should you do? Well, I suggest you do shoot bracketed RAW images and then try bringing the middle RAW photo into Aurora HDR and see if that has enough light for you. If it doesn’t, you have the other two brackets ready to go. Okay now the fun starts! You’ll see an option to tick the box by “Tone Mapping” – yes, do this. There are other options under the gear, but I almost never use them. They have good explanations inside. You’ll see an option for “Auto Alignment” – yes, do this. I do this even when I am using a tripod to get all the shots. Inside the gear, you’ll see another good option for “Ghosts Reduction.” If you have movement between your frames in the photo (like you are shooting horses mating or something), then check that box too along with the default options. Step 4: Play with the Presets! Okay now that you’re in, you may notice your photo already looks a bit different! If you click on the eyeball on the top bar, you’ll see the before/after. Pretty slick eh? Now, we can make more changes to amp it up even more! First, let’s talk artistically here. There’s no RIGHT and WRONG decisions here, so don’t be hard on yourself. You can choose if you want it to be a subtle HDR or a more extreme one. You may want it cartoony or glowy or desaturated or even more grungy. Your call! A great way to get started is with the Presets. Open up the presets panel along the bottom and have a gander. You’ll notice there are different categories as well. Architecture, Landscape, even some from me, Trey! Once you fall in love with the presets, I hope you will also enjoy buying my Volume 2 set– they’re great! Here’s a special note about the presets. If you hover over them, you’ll see a slider with 100. That means percent. So if you like the preset, but not too much of it, you can slide that back to 50% or 25% or whatever you like. Presets are very powerful and they keep the tool very simple so you don’t really need to use all those controls on the right that we’ll get to next. I know all that can be intimidating to new beginners, so don’t feel like you need to understand all of them. Presets are your friends! Step 5: Play with my favorite sliders for more powah! Once you have the panels open on the rights (you’ll see a toggle above in the top bar to open and close them, just like the presets), you’ll see there are a TON of sliders. Don’t get scared, I’ll start out by just showing you my 4 or 5 favorite ones. First, mosey on over to the “HDR Enhance” slider. Crank that thing all the way over to the right to see what happens. Cool eh? Then just move it back and forth until you like the look. This is a new slider and is very powerful…almost AI-level stuff going on behind the scenes. Second, check out the looks on that “Smart Tone” slider. This allows you to bring up the dark bits of the photo while protecting the bright parts. Third, somersault down to the “HDR Structure” area. This is where you can really AMP IT UP if you so choose. Again, try moving the slider all the way to the right just to see what it does, then back off. This whole area can be used to make your photo look as “HDRish” as you want. See that “Softness” slider in there? That is handy if you don’t want your edges to be too sharp… sometimes soft is nice. But, then again, if you want a really hard edge and quite a bit of sharpness, move that Softness slider to the left. Fourth, head down to frozen food section and find the “HDR Denoise” panel. Often times, when you move the sliders above, the sky can get a little noise. This will get rid of that lickity McSplitickity. Wow, imagine if that was really your last name and you’re stuck talking to customer service in India and they’re trying to find your customer name. Fifth, parkour using only one hand down to the “Image Radiance” panel. This area gives it that Fairy Tale Glow I love so much. Amp up that first Amount slider, then be sure to go down and pull up the Shadows a few sliders down. Quite a cool effect, eh? Layers allow you to do different things to different parts of the photo. For example, sometimes I want just part of the photo to have a very strong HDR look. Other times, I might just want a silky smooth sky. 1) Go click on the + in the Layers section and add a new Adjustment Layer. 2) Go move the HDR Enhance Slider pretty far to the right. 4) Now, go up to your new layer and you’ll see a little brush in the rectangle. Click it. 5) Now start painting by clicking on your photo and dragging around. She what happened there? All your adjustments are just where you are painting. Note you were painting at 100%, but you can see that can be lowered in the panel along the top. This is all called “Masking” by the way, but I know that terminology can be confusing to newbies. That’s how layers work. Of course, now you can still go back and make adjustments to all the sliders, and it will only happen where you’ve painted. You can make as many layers as you like! (Optional) Step 7: Have fun with all the other panels! Wow there’s a lot of panels. Where do I start? Well, my first suggestion is to have you go play with all of them like a kid. Don’t worry. You’re not going to mess anything up, and it’s a great way to get to know the tool. Remember when you try a new slider, be sure to violently move it around so you can see what it does. I’ll bring special look at a few panels that are pretty sweet. This panel is actually on the top bar. It gives you all your history, except for when girls made fun of you in high school. You can go back and reverse any decision you made, except for that pesky high school stuff. You might think this is like the HDR Microstructure, but it’s not. Think of it more as very detailed sharpener. 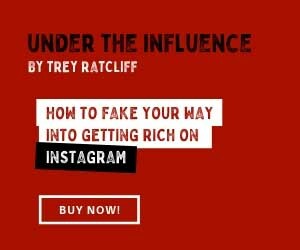 When you use this tool, be sure to zoom into 100% so you can see the effects. You won’t otherwise. This area is handy for making different adjustments to the top and bottom of your photo. Some people like to use this when not using layers. For example you can make the top part of the image a cooler color and the bottom part warmer. This is a new area and allows you to selectively brighten and darken different areas of the photo. The End! But hey, why not become a Passport Member? I have something new here on the site called the Stuck In Customs Passport. I make a bunch of special videos, presets, how-tos, behind-the-scenes videos. Come see all the goodies you get!